A quick trip to Costco at lunch led me and my lunch buddy to Gyudon-ya today. It’s located on the corner of Robson&Richards on a block that is quickly becoming the spot for Japanese fast food, (a much awaited Japadog store will open any day now). This place has been blasted a bit by the local bloggers for their meals, but I thought I’d give it a try anyways. The menu is limited to 5 different donburis, (things served on top of rice). 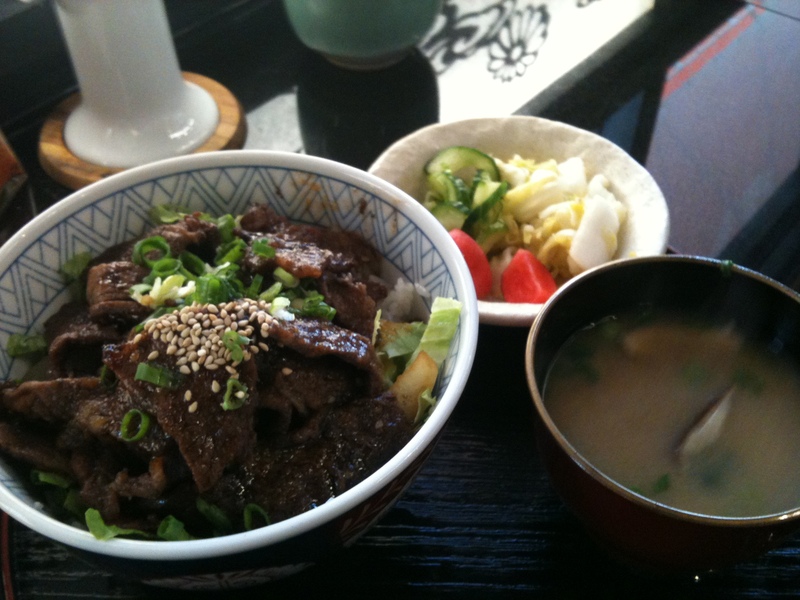 We ordered a beef bowl and a short rib bowl and opted to pay the twoonie extra to make it a meal. Most of the negative comments about the place are that there’s not enough sauce on the rice and that the beef in the beef bowl is too fatty. My thoughts are that real Japanese beef donburi isn’t overly saucy and that the sauce is only there to enhance the flavours of the beef. I thought the fatty beef was flavourful and loved the fact that it wasn’t overly drenched in sugar/soy sauce because you then got to taste the best part of this meal, the rice. The rice was amazing. Yes, plain white rice can be amazing. Those in the know, know exactly what I’m talking about. The miso soup was very good too, in a pleasant Japanese way. Again, maybe this is also difficult to understand because miso soup, (miso shiru) probably tastes pretty much the same wherever you’ve had it. But real Japanese miso shiru is WAY better than the stuff you get at most restaurants. 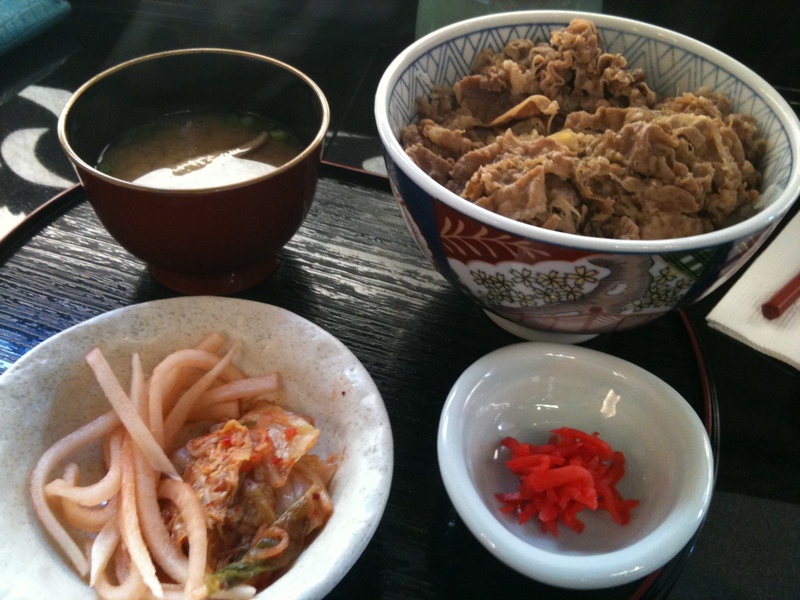 And at Gyudon Ya, it was good enough that I’m remembering to write about it now. Maybe I just went on an on day, but my experience at Gyudon Ya was good enough that it’ll be put on my quick lunch spot list to return to again one day soon.